Ally, a leading digital financial services company, has been named key sponsor and partner of the Mike Ilitch School of Business Corporate Mentor Program. The Corporate Mentor Program affords Mike Ilitch School of Business students the opportunity to be matched with a professional corporate mentor and work one-on-one throughout the entire academic year. Ally’s support ensures the program will continue to allow students to work closely with their mentors to help move their interests forward, gain exposure to the day-to-day world of work, and experience other professional opportunities for success after college. Along with supporting the program financially, Ally supplies at least 10 mentors every cycle and provides guest speakers for events. “By participating in the program, Ally is exposed to a large group of highly engaged, talented and well-educated students, which is exciting for a growing, innovative company like Ally. We are proud to participate and excited to sponsor this cutting-edge program,” he added. 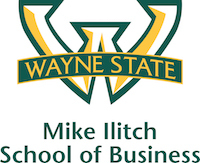 For more information on the Corporate Mentor Program, visit http://ilitchbusiness.wayne.edu/resources/mentors.php. Ally is a leading digital financial services company known for its award-winning online banking, auto finance products, CashBack Credit Card, mortgage products, corporate finance and growing wealth management and brokerage platform. Ally supports a diverse and inclusive work environment where individuals of all backgrounds, experiences, interests and skills are respected and appreciated. The company's commitment to diversity, collaboration and creativity makes Ally an outstanding place to work and positions Ally for continued success.